1. Midbody is shades of orange to brown (tobacco color). 2. Dark "U-shaped" border on tail. Alternating series of dark and white to yellow or salmon blotches along back. Belly white. 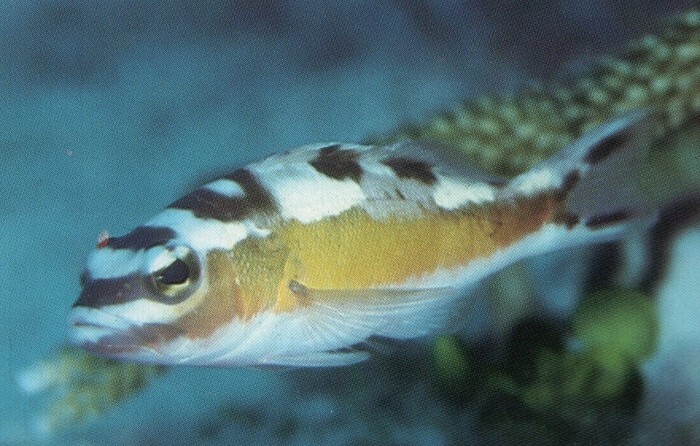 Juvenile markings tend to be more distinct. Common to occasional South Florida, Florida Keys, Bahamas, Caribbean; also Bermuda and south to Brazil. 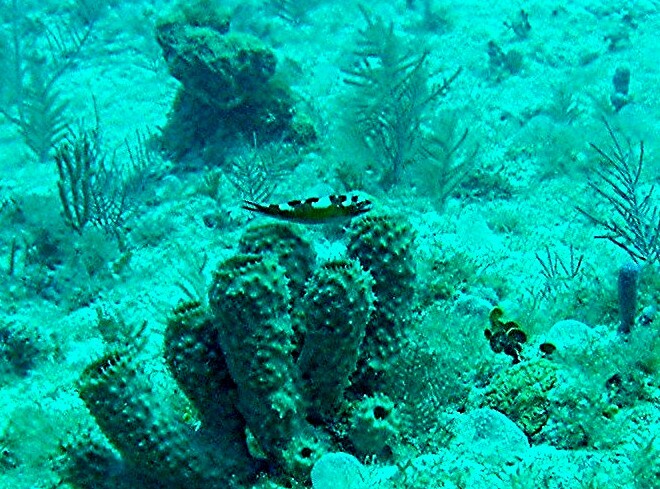 Inhabit adjacent areas of sand and coral rubble. Tend to stay near bottom. Unconcerned; usually allow slow, non-threatening approaches.